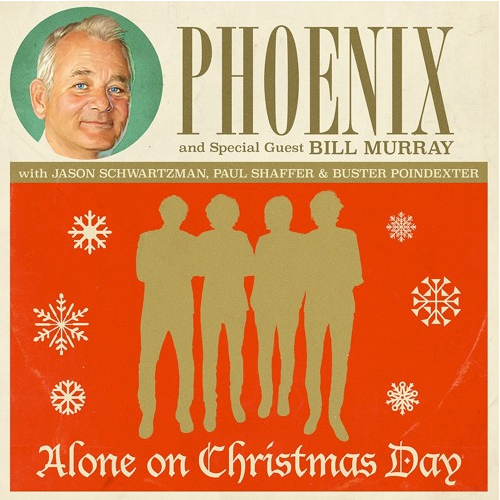 Phoenix just released a new Christmas track with Bill Murray called “Alone on Christmas Day.” It’s a cover of a long-lost Beach Boys holiday track from 1979 that was never formally released. Also featured on Phoenix’s version are Jason Schwartzman, former “Letterman” musical director Paul Shaffer, and New York Dolls’ David Johansen. The song is used in the Netflix original holiday special, A Very Murray Christmas, directed by Sofia Coppola. All profits from the song will go to UNICEF so it wouldn’t hurt to show a little love and buy this album as a gift for someone special this Christmas.